Amru Rice, one of the biggest exporters of rice in Cambodia, will purchase about 50,000 tonnes of paddy rice this year from dozens of agricultural communities across the country, amounting to an investment of $17 million. Song Saran, Amru Rice CEO, said they have entered contract farming schemes with 56 agricultural communities in nine Cambodian provinces, from whom they will be purchasing paddy rice grown following organic techniques. A significant portion of that investment will be made in Kampong Thom, where the company will buy 12,000 tonnes from 20 agricultural communities. Those communities have so far supplied about 40 percent of what they agreed to, Mr Saran told Khmer Times last month. The price Amru Rice pays for each ton ranges from $280 to $400, depending on the quality of the product. Thiv Vanthy, director of Kampong Thom’s agriculture department, told Khmer Times that the agricultural communities that are working with Amru Rice aim to produce about 30,000 tonnes of rice this year. “We are benefiting a lot from the contract farming schemes, particularly the farmers. They are happy because they have guaranteed buyers and can sell their product at a good price,” he said. 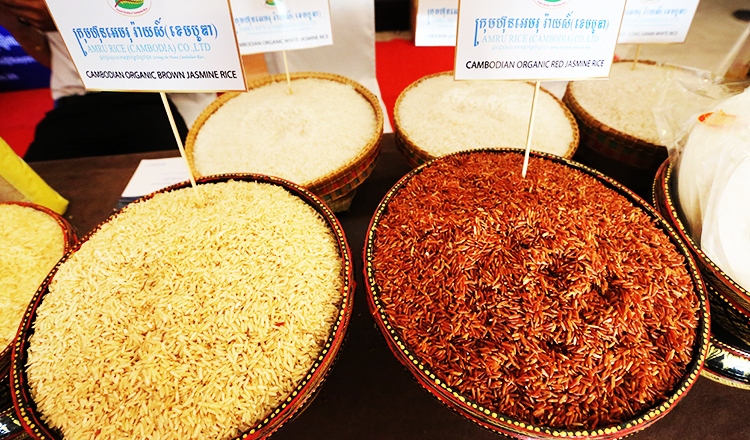 A report from the Secretariat of One Window Service for Rice Export Formality said that from January to October, Cambodia exported 434,807 tonnes of rice, about 57,300 less tonnes than last year. China continues to be the Kingdom’s top rice buyer, importing 110,000 tonnes during the 10-month period.